SYNOPSIS: In late November 1966, Russell Bott and Willie Stark were inserted about 1 1/2 miles into Laos west of the DMZ along with a number of Vietnamese Special Forces (LLDB) "strikers". The team, a long-range reconnaissance patrol (LRRP), was soon discovered by a superior North Vietnamese force, members of the 325B NVA Division. A two day running battle ensued. 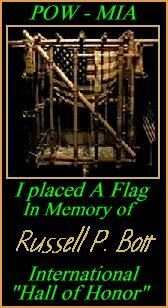 Near the end, Bott radioed that he was down to one grenade ond one magazine of ammunition. He also stated that several of the Vietnamese members of his team were dead or wounded. Willie Stark was wounded in the chest and leg, but was alive. Bott requested exfiltration at that time. He refused to leave his wounded teammate to seek safety, and in his last radio message, Bott indicated that he was going to destroy his radio, that he felt capture was imminent. Two gunships working the area were hit by enemy fire. Also, the exfiltration helicopter from 281st Assault Helicopter Company was hit, and crashed and burned, killing the crew of four and Irby Dyer, a medic from Det. B-52 Delta who had gone in to help treat the wounded. The wreckage of the plane and all five remains were found in searches conducted December 10-13. The remains, which had been horribly mutilated by the enemy, were left at the site. When a team returned to recover the remains, U.S. bombing and strafing activities had destroyed them further. The identifiable remains of three of the crew were recovered, but those of Daniel Sulander and Irby Dyer were not. Searches for Bott and Stark were unsuccessful. Vietnamese team members who evaded capture reported that they had heard North Vietnamese soldiers say, "Here you are! We've been looking for you! Tie his hands, we'll take him this way." Sgt. First Class Norman Doney, who was Operations Sergeant at that time at B-52 headquarters at Khe Sanh, overheard the Intelligence Sergeant on the "52 Desk" reviewing intelligence about Bott. Doney states that it was reported that Bott was seen with his arms tied behind his back going through a village, and that he was alive 3 days after he became missing. Bott, Dyer, Sulander and Stark are among nearly 600 Americans lost in Laos during the Vietnam war. 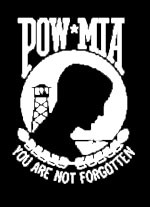 Although the Pathet Lao stated on several occasions that they held "tens of tens" of American prisoners, not one man held in Laos was ever released...or negotiated for. 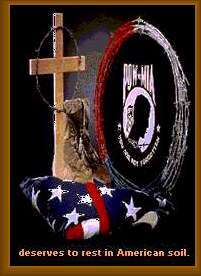 Dyer and Sulander died for their country. Stark's fate is unknown. He may have died from his wounds or survived to be captured. Bott, at least, could be one of the hundreds of Americans experts believe to be alive today. He was loyal to his comrades and to his country. If he is alive, what must he be thinking of us? 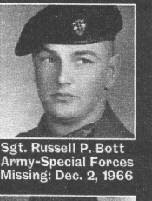 Picture of Russell P. Bott Thanks to Craig.